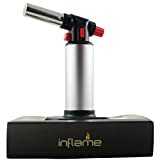 Inflame Refillable Butane Kitchen Torch. Culinary Torch for Home Cooking and Chefs. Blow Torch for Soldering, Brazing, Crafts, DIY, and Creme Brulee FREE E-Recipe Included! Earrings are the most important accessories of mine. And because of they come with so many different types of hooks, they turn out to be the most difficult objects to organize in my opinion. Here are some examples for you to organize them in a better and more elegant way. 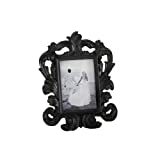 You can also choose different photo frames, such as Shadow Box. Simple, isn’t it? If you think that the frame will take over too much space on your desk, you can hang it on the wall as an piece of art display.